In conversation with Bengali writer Manoranjan Byapari about contemporary Dalit literature, misrepresentation of the community in Indian writing and more. 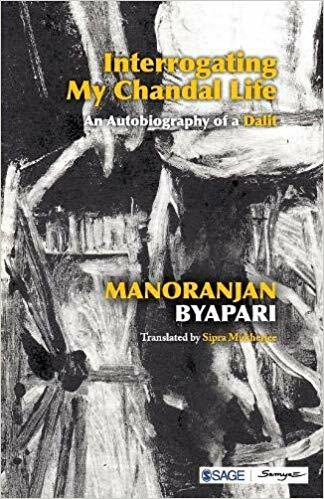 Manoranjan Byapari, Bengal’s foremost writer of Dalit literature, was until recently little known outside the Bengali reading public – that is, until his book Interrogating My Chandal Life: An Autobiography of a Dalit was translated into English. A former Naxalite, Byapari learnt to read and write in jail. He read voraciously even as he took up odd jobs after being released. It was during his stint as a rickshaw puller that he met his most distinguished passenger, Mahasweta Devi. According to a now-famous anecdote, Byapari asked the doyen of Bengali literature the meaning of the term ‘jijibisa’, which he had encountered in a book. “The will to live,” Devi explained, wanting to know more about the rickshaw puller who was asking about a term sparingly used. 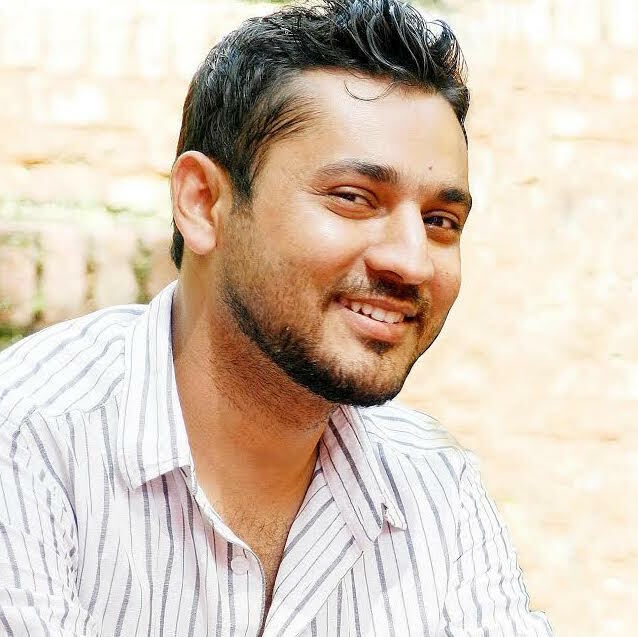 The brief exchange led to Devi asking Byapari to write a piece for a journal she edited, thereby introducing him to the world of writing and publishing. In a literary career spanning over three decades, Byapari has written 15 books, over 35 essays and 150 short stories. His latest book in translation, There’s Gunpowder in the Air, is a fictionalised account of his jail days and Bengal during the Naxalite movement in the 1970s. 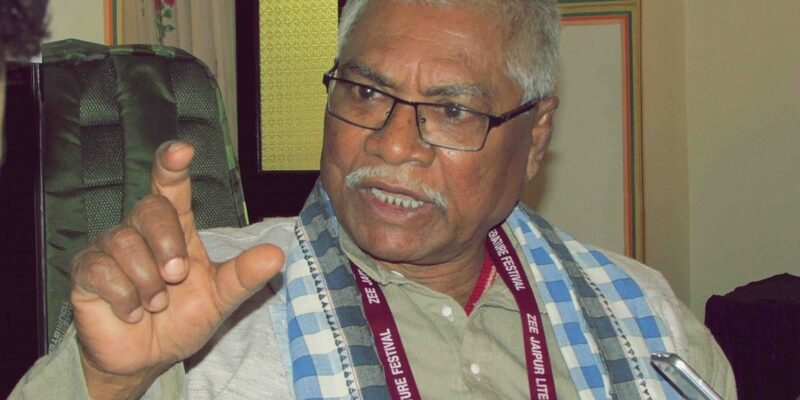 Byapari, who recently participated in the the Jaipur Literature Festival, spoke to The Wire about his career as a writer, Bengali Dalit writing and why he has issues with the language of great Indian writers including Premchand and Mahasweta Devi. You learnt to read and write only in your mid-20s. When and how did you decide to become a writer? 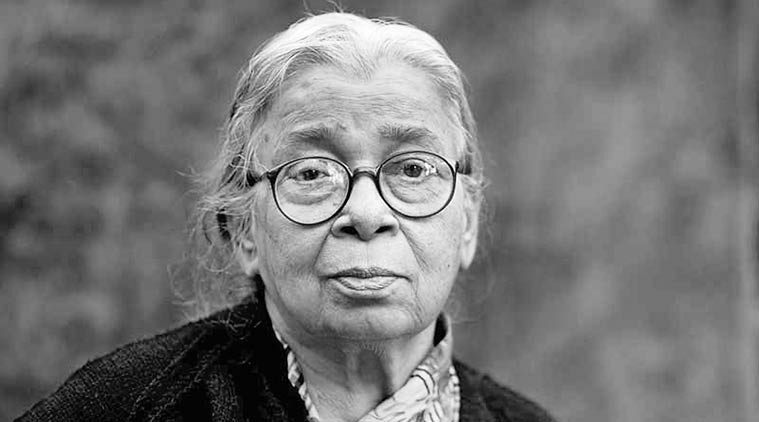 I had a lowly life before I met Mahasweta Devi: I pulled a rickshaw, drank, fought and was in and out of jail regularly. After the meeting, I wrote a piece for her journal on her request. When the piece was published, professors and students from the university close to where I lived came looking for me. What was drawing these intellectuals to me was just a 15-page write up. Then I thought, if a piece that I haven’t even written properly won so many hearts, got reviewed and shocked some people, what would happen if I wrote a really good piece, or even ten pieces? That’s when I decided to write more. There’s another – and more important – reason also. Before I went to jail, and before I started writing, I believed that some people did not deserve to be alive, and that they should be killed as they could ruin the lives of a thousand others. But as I grew older and realised that I could not do as I wished, I thought of creating characters and killing them through my writing. I also thought that the anger inside me should be transmitted to my readers so that they too would be inspired to kill those whom I wanted to kill. This would then herald a social revolution. If it happens, then I will consider my writing successful. So would you call your writing another form of involvement in the Naxal movement? Calling it just Naxal or Maoist movement trivialises the idea of revolution. Tell me, when Spartacus fought, were Karl Marx or Mao Tse-Tung or Lenin around? No. But why did he still fight? There have been over 200 Adivasi struggles. Had they read Karl Marx? People have been fighting against the ills of society for centuries. They are fighting today and will fight tomorrow. People will keep fighting as long as injustice and suppression prevail. But Marxism is a weapon that strengthens you. It widens your perspective. Naxal movement is a part of that awakening. Do you believe your writing has received the recognition it deserves? If your writing is based on truth, and written by heart, it can’t be dismissed. None of my 15 novels has been published by a big publisher or even reviewed by a big newspaper. But why are my writings popular across India? After I returned to Bengal after winning the Hindu’s literary prize, hardly anyone wrote about me. But I am still known in Bengal. I didn’t start to write to become famous. I began with hope to publish a hundred copies, some of which would find a way into a library and be discovered after a hundred years. How do you view the writings of Mahasweta Devi and other Bengali writers? Have they influenced your writing in any way? They’re undoubtedly big writers, and I salute them. They’ve written about people like us. But if you look at things from a tall tower, you can’t see those things as they really are. So the big books written by big writers revolved around a limited circle of educated people. They praised and patted each other. I will give you two examples, one from Bengal and another from Hindi. Manik Bandyopadhyay, a Bengali leftist writer, whose novel Padma Nadir Majhi is about fishermen. There is not a single respectable character in the novel. One of them runs away with his sister-in-law, another trades in opium and so on. There is no single character that upholds the dignity of the Dalit community. Another great writer, Munshi Premchand, has written about the Dalit community much more than anyone else. But in his story ‘Kafan’, he demeans a Chamar character, who is shown to ruin his life because of his drinking habit. Yes, alcohol can ruin life, but why link it with caste? Why did he show that only a Chamar can do this? Why call him ‘Chamar’? He may as well have been called a drunkard. A drunkard can be from any caste. And not all Chamars drink. But it’s not that he wrote it consciously; it came out of him unconsciously. The term Chamar is paired with chori. Such misrepresentation is found in the writings of Mahasweta Devi, Nabarun Bhattacharya, Sirsendu Mukherjee, Manik Bandyopadhyay and Ashok Mitra, among others. So, if your perception about Dalits hasn’t changed, how can you go on writing about them? How do you respond to such misrepresentations? I tell them, “You’ve written a lot about our lives. You don’t have to write about us anymore, as we’ve come forward now.” Rabindranath Tagore in a poem says that he wrote a lot but couldn’t write much about farmers and workers, that he went to their doors but couldn’t enter their homes and that he was waiting for someone among them to come out and speak. Now, after a hundred years, we’ve arrived. Now you move aside, or we’ll shove you away. What is the situation of contemporary Dalit literature in Bengal? Dalit literature and the Dalit movement are complementary to each other. And since the Dalit movement has been rather weak in Bengal, Dalit literature is also weak. If there was any community that could provide leadership to the Dalit movement in Bengal, it was the Namasudras. They had a special relationship with Ambedkar, who was elected to the Constituent Assembly from Bengal. But the Namasudras were sent to East Pakistan during the Partition. They had to escape to India after they were pitted against the Muslims. And when they returned, they were faced with violence and oppression like the Dandakaranya incident. They were disintegrated. Now, the National Register of Citizens is being implemented. I came to this country in 1953, but even after 65 years, I don’t have the papers and the passport to prove that I am a citizen of this country. That is simply because my father did not have land. Nowadays, Dalits have started to ask what their position is in society. The situation of the Dalits is improving in some ways due to access to education and jobs. Dalit writing is also growing. During a panel discussion at the Jaipur Literature Festival, you said that translation doesn’t always communicate what is being said in the original. Could you explain a bit more in the context of your own book There’s Gunpowder in the Air, which has been published in English recently? Autobiographical writings that are a combination of truth and literariness reach the masses. Maxim Gorky’s autobiography, for instance, has both truth and literariness. In my autobiography, too, I’ve tried to blend the power and beauty of language together. It has the flavour of regional Bengali that can’t come in translation. So the literariness may be slightly lost in translation. The beauty of the original language and the smell of the earth cannot be rendered as they are, but truth can’t be lost and facts can’t be changed. The fact that I had killed someone with a stone when I was 13-years-old remains the same whether you translate it into English or in Hindi. I have a competition, although I have no competitor as such. I’m competing with myself. But one of my competitors is Baby Halder. Her book has been translated into 20 languages. My target is to have mine translated into 21 languages.